Buy A House With A Low Credit Score. NSH Mortgage has the wisdom and tools to help you buy a home that is within your budget even with a low credit score. When you are a first-time home buyer, you face challenges that experienced home buyers do not face. For example, you may have less money saved for a down payment, or a collection of student loans which are weighing on your household budget. You might also feel more nervous about home-ownership, wondering if you can really afford to own a home. You should know that you are not alone. According to the National Association of REALTORS®, first-time home buyers account for one in three homes sold nationwide and, despite the depth of today’s mortgage rates and a wide array of low and no down payment mortgages, that figure does not appear to be rising. Buyers fear they cannot get approved. Many are worried about credit scores. The fact, is that you do not need a high credit score to get home loan approved, and your rates can still be beneficial. A credit score is a number used to predict the likelihood of a person going delinquent on a loan. What does it mean to go delinquent? With respect to mortgages, it means going 90 days without making payment to your lender. And, why 90 days? Because, after 90 days of non-payment, your lender has a legal right to reclaim your home, through a process known as foreclosure, which can be extremely costly to the bank. Lenders want to prevent foreclosure as much as you do, so they use your current credit scores as their first line of defense. The higher your credit score, the less likely you are to go delinquent. Credit scores range from 300–850, with 850 being the highest. Your credit scores are based on your previous payment history to your current creditors and amount of your overall debt, as well as the types of credit accounts you keep and the length of time you have successfully managed your credit obligations. Because a credit score of 500 is required to get a mortgage approved, only 5% of U.S. consumers would fit in the mortgage ineligible possibility based on their credit score alone. Everyone else meets at least the minimum mortgage credit score standard. However, for first-time home buyers credit scores are most likely to lean lower than standard. As a first-time home buyer, you generally have less life experiences than most people who have previously owned a house. Since you do not have the experience of successfully negotiating the purchase of your own home nor, the experience of attending your own closing and receiving your new set of house keys. You also lack the experience and knowledge on paying for a mortgage and, not having these skills it can prove to be difficult to get approved for one. It is the old adage of it takes credit to get credit. The best way to tell whether you are capable of making mortgage payments in the next 90 days is the recent mortgage payment history as reported on your credit report. Except, as a first-time home buyer, you currently have no recent mortgage payment history to date. Therefore, first-time home buyers tend to have lower credit scores as compared to the general population especially if the first-time home buyers are not yet 30 years of age. Some of these buyers might not even have credit scores at all. This is because, to generate a credit score, you must have at least one credit account which has been open for at least six months and, one account which has reported account activity within the last six months. If you never had a credit card in your own name, and you are not making payments on your student loans just yet, it is possible that your credit score may not exist. 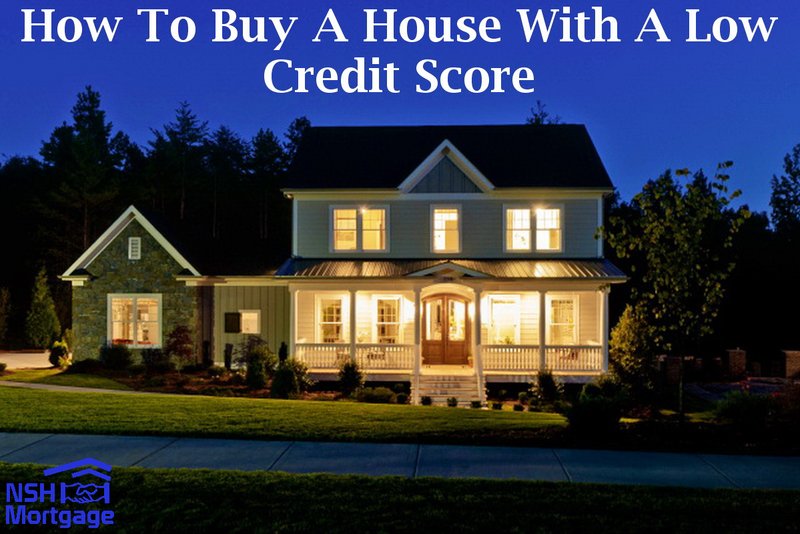 As a first-time home buyer, it is important to get yourself on the credit scoring grid. There are several ways to this, but before taking this step, you should have a talk with your mortgage loan officer. As a first-time home buyer with no history of making payments on a mortgage, it is likely that your credit scores may start to fall short of excellent, even if you pay your bills on time each month. However, that is okay since there is a large selection of mortgage loans geared toward first-time home buyers, and which allow for lower credit scores. Many allow for low down payment and 100% financing, as well. For example, the FHA loan, which is backed by the Federal Housing Administration (FHA), allows for a down payment of just 3.5% for borrowers whose credit scores are 580 or higher. The same program accepts borrowers with credit scores between 500–580, although a larger down payment of ten percent is required. The Fannie Mae HomeReady™ mortgage is another low down payment loan available to home buyers with credit scores toward the lower end of the scale. Through HomeReady™, buyers must only show a 620 credit score to be approved. Military borrowers with lower credit scores, meanwhile, can use their VA benefits from the Department of Veterans Affairs to apply for a VA loan. VA loans allow for 100% financing and, according to loan guidelines there is no minimum credit score that exists. The USDA home loan, which is available in most parts of the country, is another zero down payment loan. To get USDA approved, borrowers must have a credit score of 620 or better. Just remember that low credit is not the same as bad credit. First-time home buyers tend to have lower credit scores than the general population, and that is okay. There are plenty of mortgage programs meant to help first-time buyers move into home-ownership.